100% delicious, 100% nutritious. 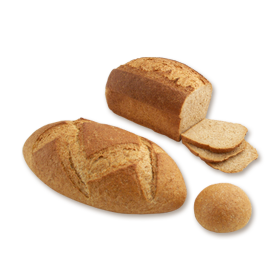 This bread is packed with vitamins and minerals from whole wheat flour, making it the perfect healthy option for your family. A versatile bread with a soft crust that works well for toast or any type of sandwich. WHOLE WHEAT FLOUR, WATER, HONEY, SALT, WHEAT GLUTEN, YEAST.